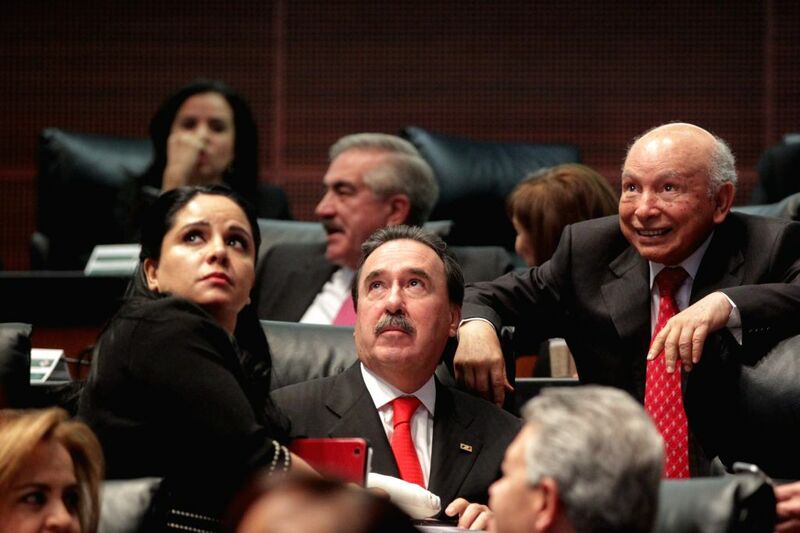 MEXICO CITY, April 29, 2015 - Senators take part in the vote of the political reform of the Federal District at the headquarters of the Republic's Senate, in Mexico City, capital of Mexico, on April 28, 2015. 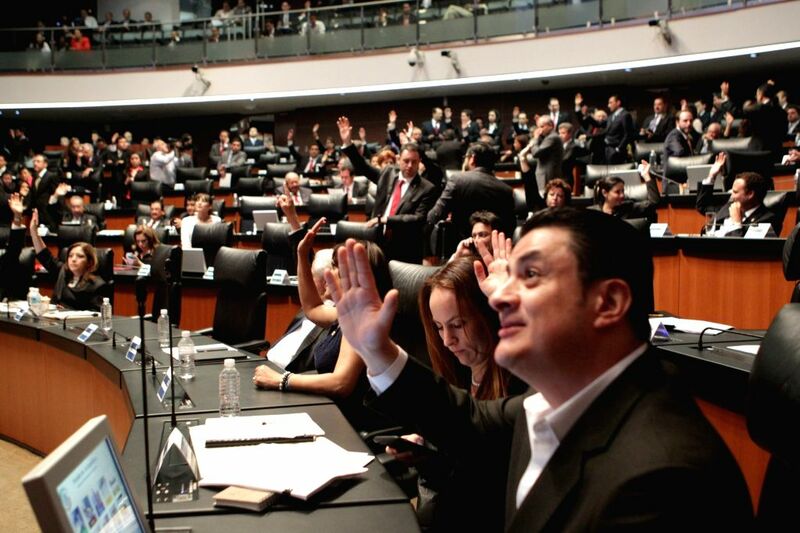 According to local press, the Senate approved the political reform of the Federal District, which among its most important highlights is that Mexico City will be provided with a local Congress and its own Constitution. The senator of the Institutional Revolutionary Party Emilio Gamboa Patron (C) reacts during the vote of the political reform of the Federal District at the headquarters of the Republic's Senate, in Mexico City, capital of Mexico, on April 28, 2015.